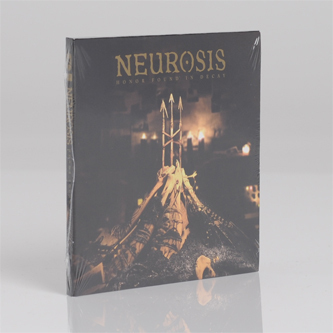 'Honor Found in Decay' is famed doom metal outsiders Neurosis's tenth studio album, and while that might seem like more than a handful, they have been around for almost twenty-five years. Each new album has taken the band to different spaces, from the chunky riffage of their early work to the dangerous avant garde experimentation of their later records, and 'Honor Found in Decay' does a great job of welding the band's interests together into one coherent whole. With a molasses-slow war march the North Western band somehow avoid easy comparison with other bands - they're neither as droney as Sunn o))), as soundtrack-indebted as Earth or as stoned as Sleep, but they offer a similarly blighted take on a genre that pushed itself over the edge of ridiculousness. 'Honor Found in Decay' might even owe just as much to folk music as it does to metal as the band pepper in familiar variations and hints at historical reverence in their compositions, but this simply adds to the intrigue and mystery of the record. 2012 hasn't been a vintage year for metal albums, but here's one you should be able to sink your teeth into and reap the rewards.